Montreal, early 1990s. Stan, 19, takes care of his mother, who has been diagnosed with a cancer that has made her completely dependent, in addition to severely mutilating her upper body and face. 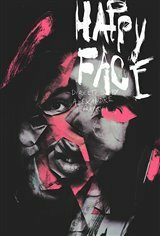 To better understand what his mother is going through, Stan masks his face with strips and enrolls in a group therapy program for people with severe physical deformities. Led by a social worker named Vanessa, the participants immediately accept the newcomer. But it’s not long before his deception is discovered. Stan nevertheless manages to stay in the group, in exchange for his promise to teach the group members how to deal with the prejudices they experience.